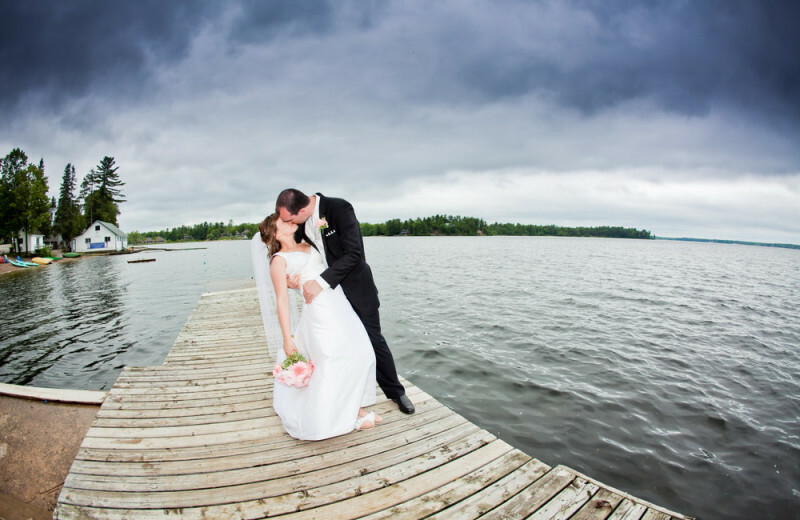 Bayview Wildwood Resort is situated on beautiful Sparrow Lake, an ideal year round Muskoka getaway. 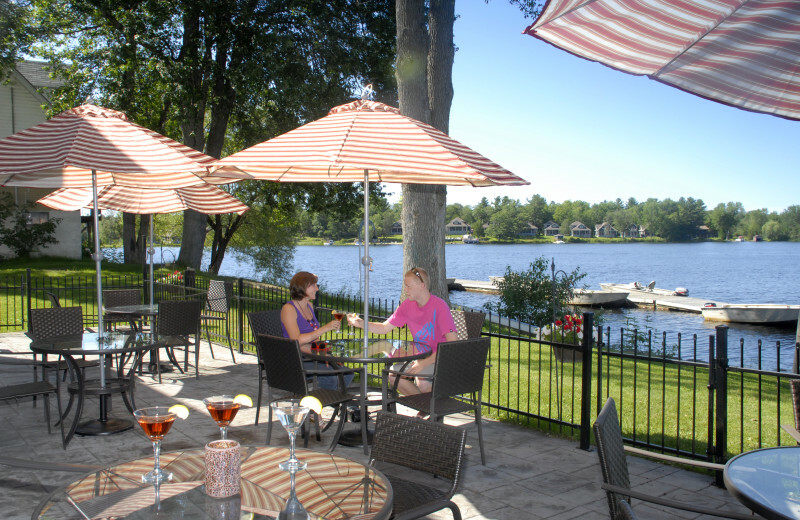 Overlooking the Trent-Severn Waterway and just 90 minutes north of Toronto, Bayview Wildwood is ideal for fun-filled family vacations, superb dining, and couples retreats. 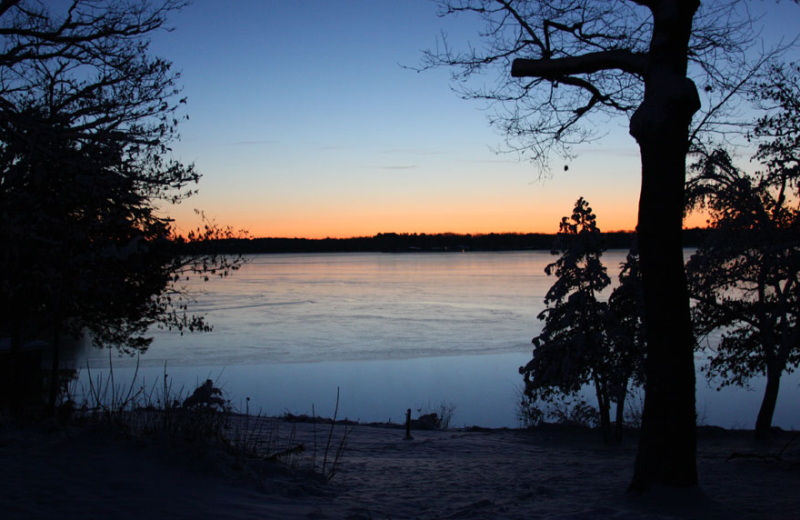 Hike or snowshoe through the Canadian Shield, or take a guided snowmobile tour! 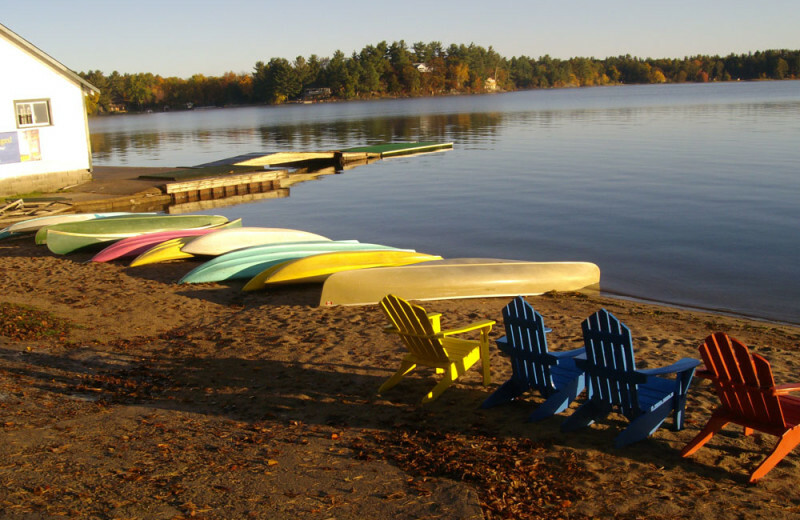 Go boating or swim in Sparrow Lake; seasonal supervised kids' programs can give you some time to yourselves! 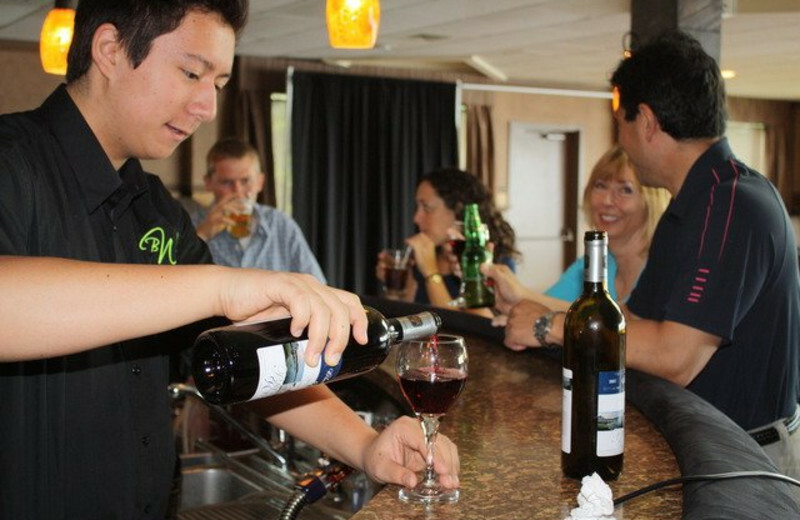 Relax to live entertainment in either of two lounges, or go gaming at nearby Casino Rama. At the end of the night, relax by the fireplace after a soothing massage. 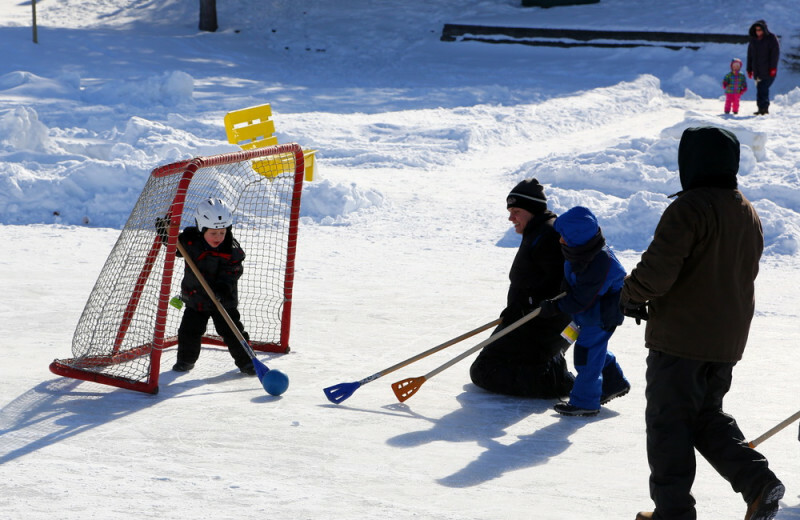 Bayview offers a plethora of seasonal packages for families and couples alike. 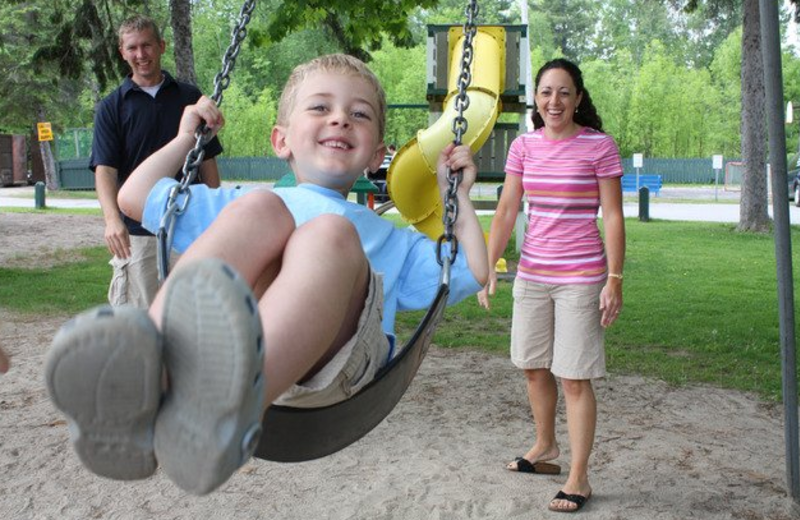 In the spring and fall, your family will love not having to worry about breakfast and dinner, while the provided family programs, seasonal activities (like tennis, hiking, boating, watersports, and fishing), and pool access. All that, plus kids under 13 are absolutely free! You won't have to travel far to enjoy a day at the beach during your next trip to Bayview Wildwood Resort. 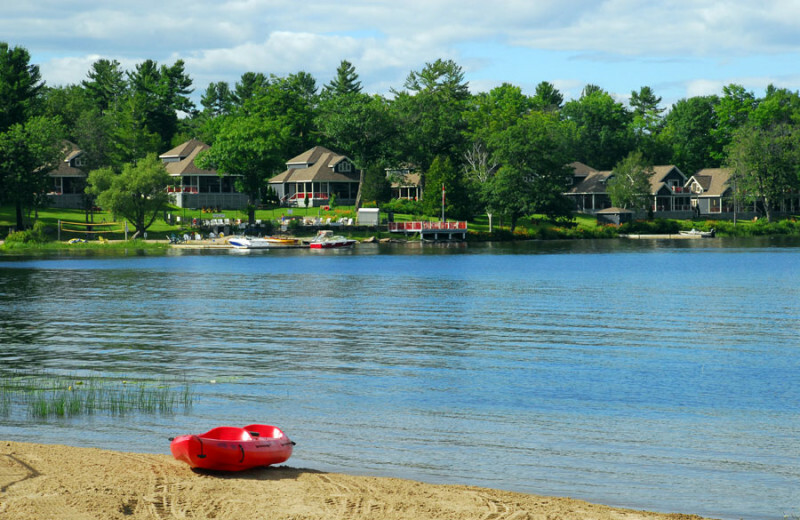 Set on the shores of Sparrow Lake, the resort features a private beach that's perfect for building sandcastles, playing games, or just soaking up some sun. Kids will love swimming out to the water trampoline (with slide), or your entire family can use of the onsite kayaks and canoes to explore these beautiful waters are your own pace! 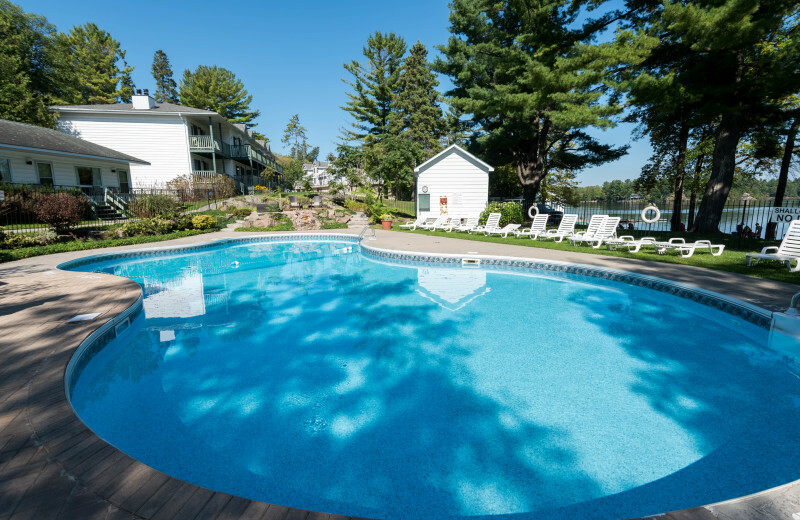 With swimming pools, a fantastic game room and a fully-equipped exercise facility, Bayview Wildwood is ideal for a Muskoka family vacation. 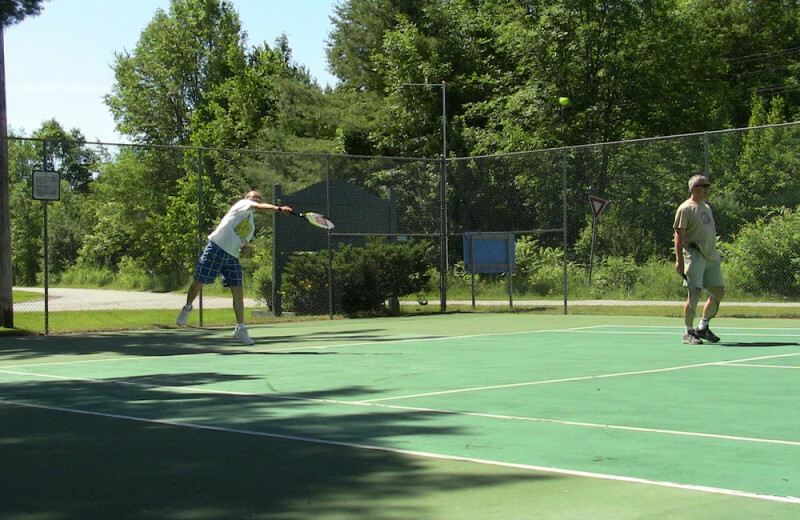 The resort has two tennis courts, one being lit for night use, and access to lawn games like bocce ball and croquet. 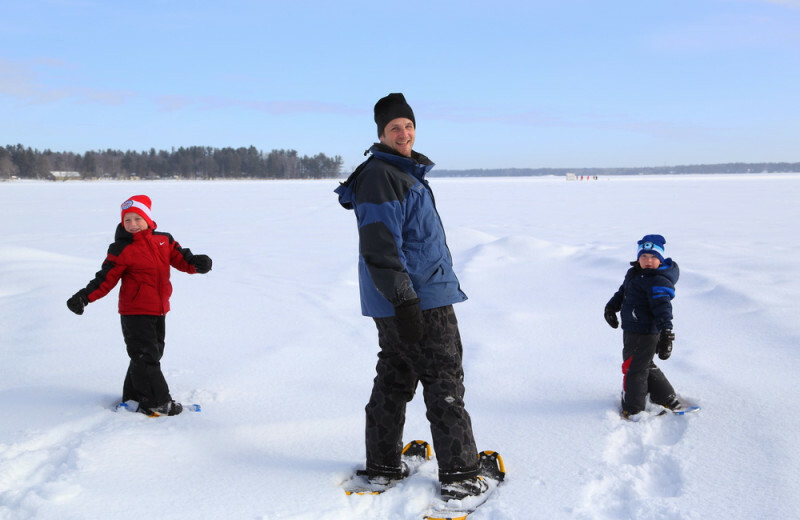 For winter fun, try snowshoeing or ice skating. 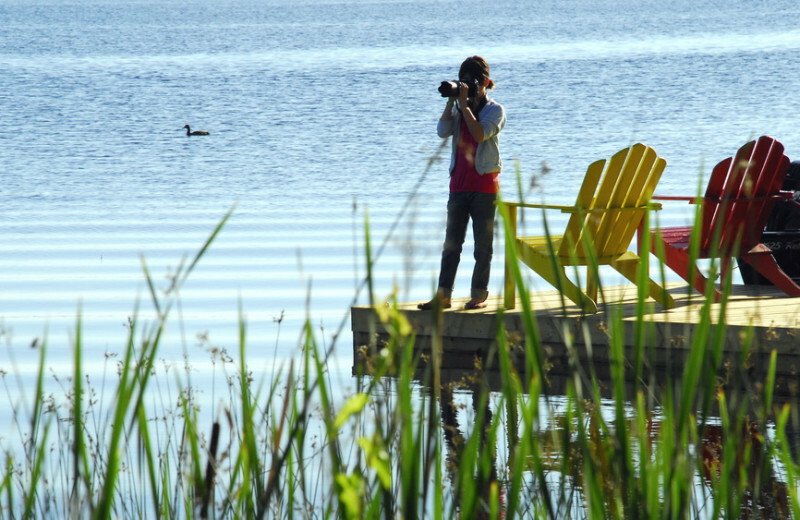 Bayview Wildwood Resort is the perfect place for your Ontario business retreat. They can accommodate groups from five to 200 and offer a variety of amenities to make your getaway unforgettable. 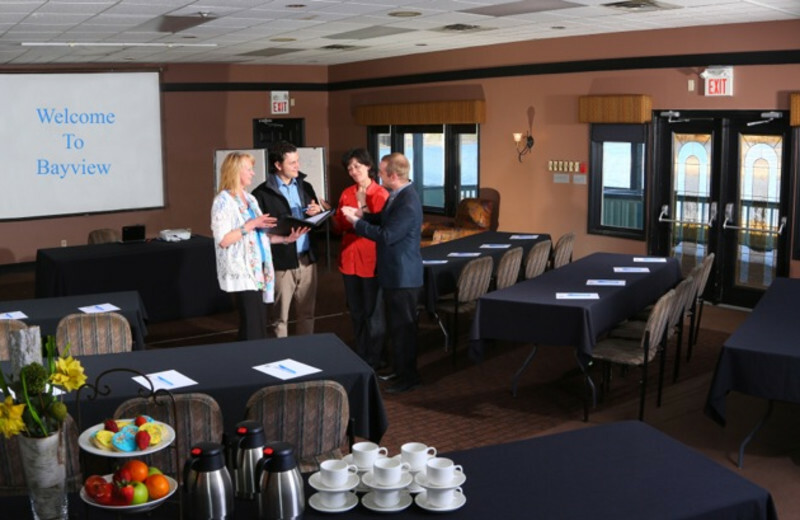 With team-building activities including a Health and Wellness Workshop and a Stress Relief Workshop, your group will leave Bayview happy, healthy and in the right frame-of-mind. 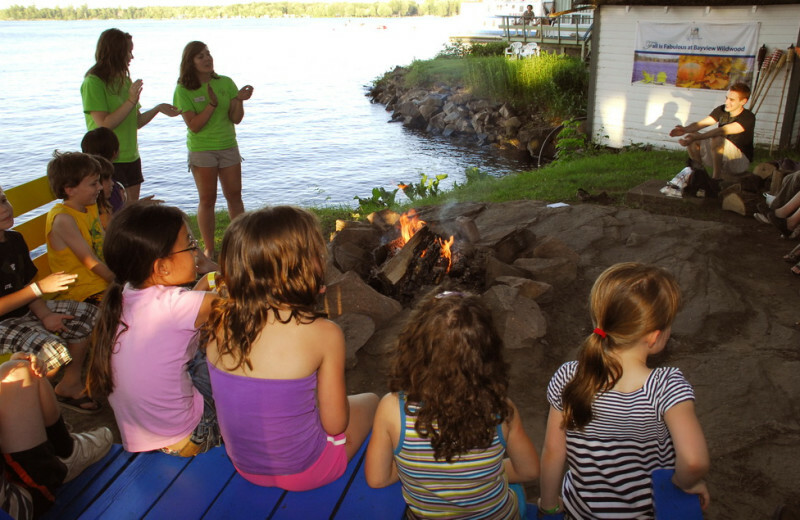 Resting along the shores of Sparrow Lake, Bayview Wildwood Resort is an exciting place to reconnect with your family. 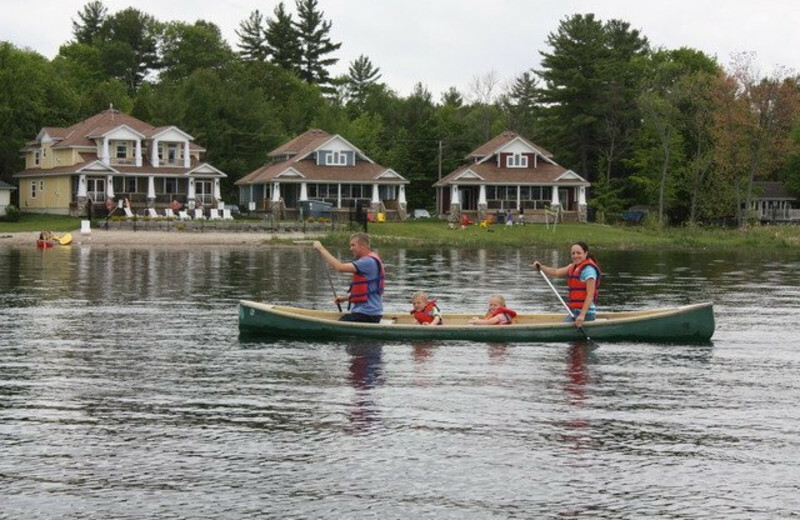 Plan your next family reunion at this beautiful Ontario location and enjoy plenty of fun activities together with loved ones. Explore the waters on a fishing trip, relax on the beach and soak up the sun, or head out on a hiking trip around the area. The resort features a few elegant function spaces where you can gather for dining and indoor entertainment as well! 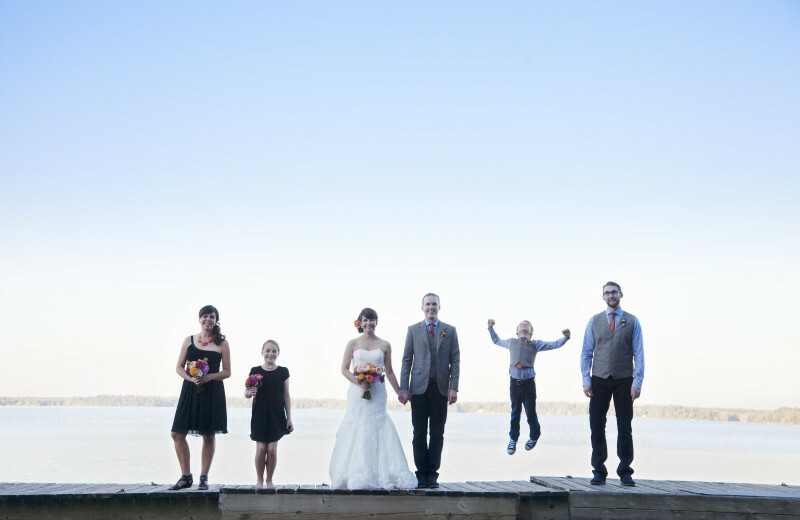 Let Bayview Wildwood help you make your dream wedding a reality. The resort will help you with every detail from flowers and decorations to finding the right photographer who will capture your once-in-a-lifetime moment. With space to accommodate up to 250 people, you do not have to limit your guest list. Bayview also offers multiple menu options for food service following the ceremony. If you are not convinced, check out the breathtaking panoramic views from the reception area. You will realize that this is the place you want to begin the rest of your life with the person you love. 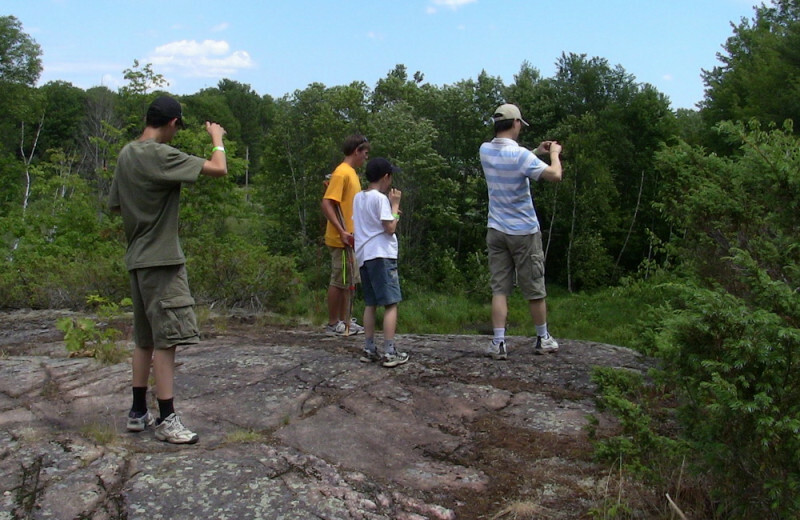 This is the ideal place to explore the Severn River, Sparrow Lake or the stunning Canadian Shield wilderness! 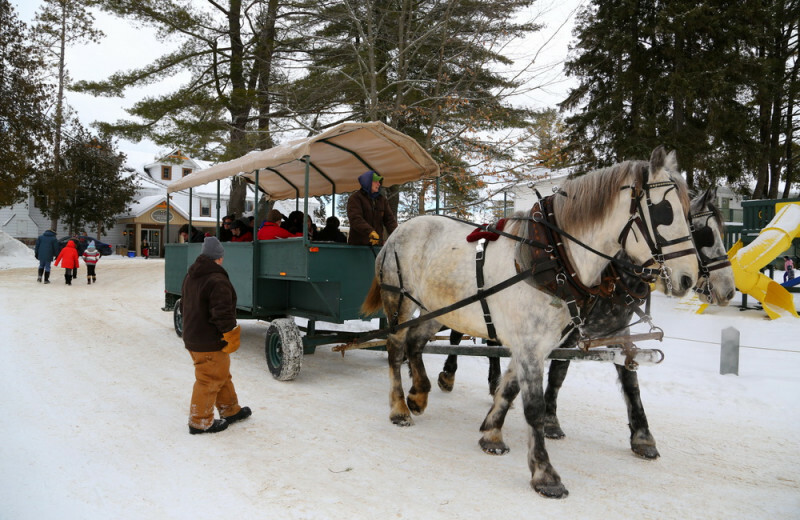 Spectacular one-hour Guided Snowmobile Safaris at Bayview Wildwood feature groomed OFSC trails, a terrific way to enjoy the Muskoka area. Bayview also allows you to rent ATV's for a two-hour excursion through a large private bush lot. 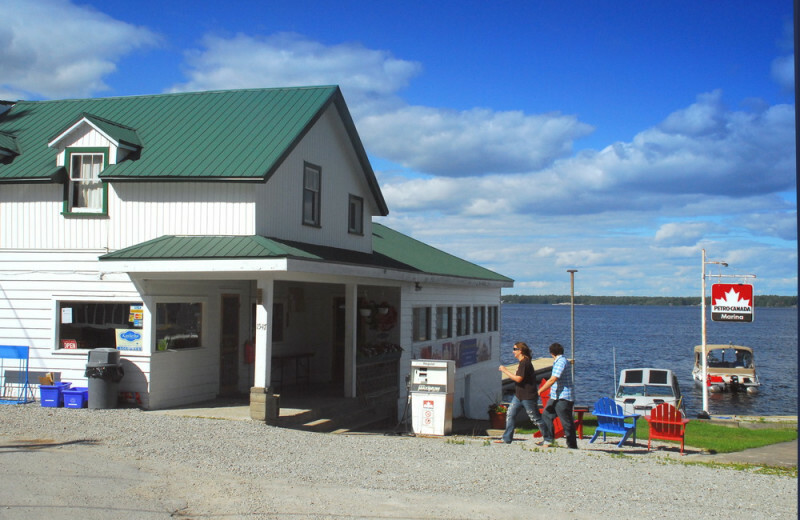 Located right on Sparrow Lake, there are ample opportunities to cast your line! Here, you'll have access to large and smallmouth bass. 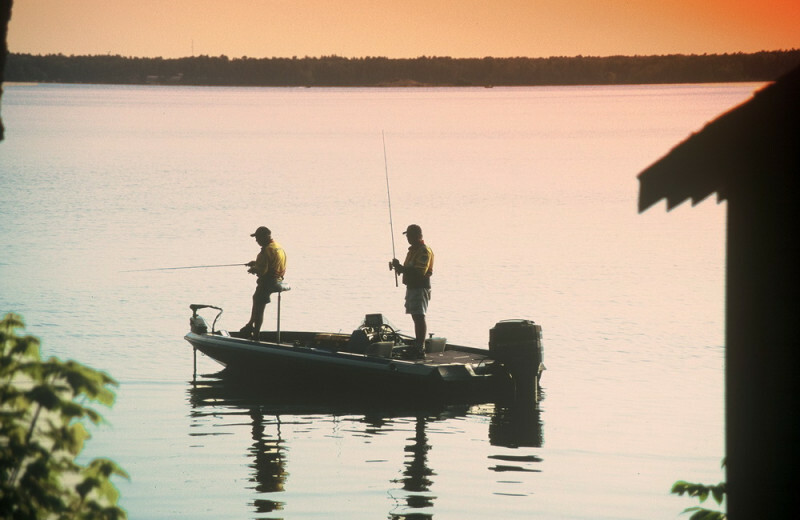 Rent a boat or fish right off the shore, however you want to spend your Ontario fishing vacation is up to you! 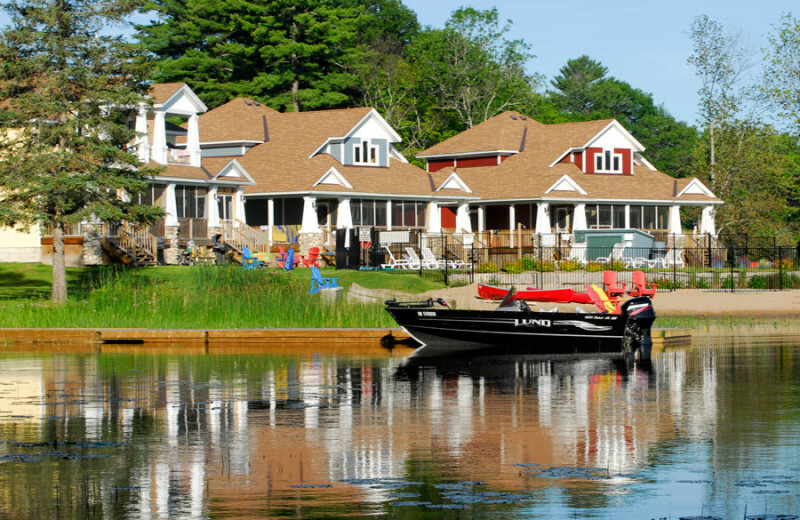 Book your next fishing retreat at Bayview! 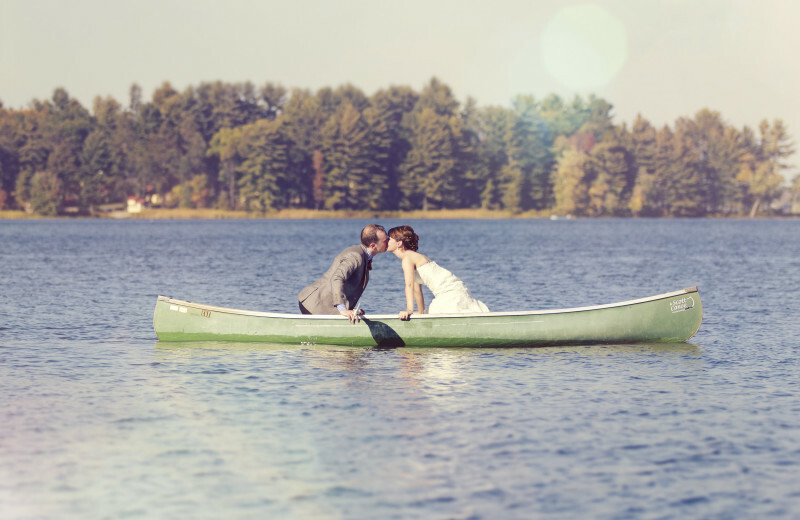 Everything you need for a romantic Muskoka getaway can be found at Bayview Wildwood -- intimate, cozy cottages with wood or gas burning fireplaces, private decks and the serene Sparrow Lake or the resort pool just steps away. Indulge in an in-room massage for two! 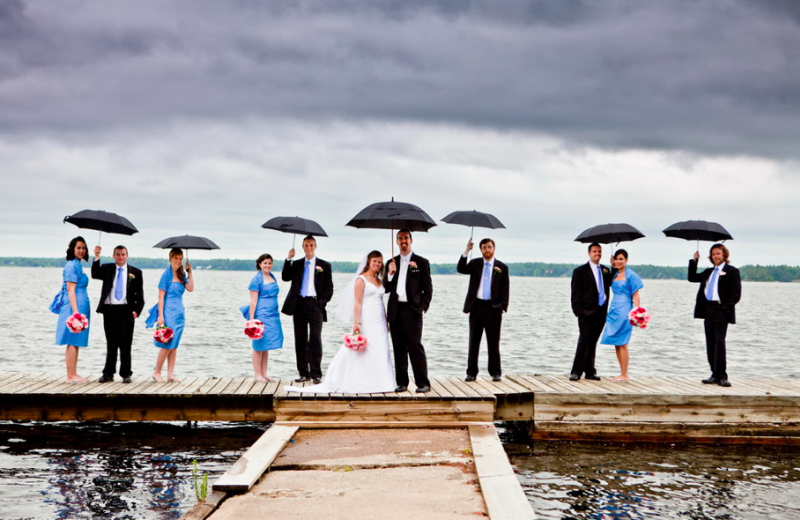 Fall in love all over again at this Ontario lake retreat! 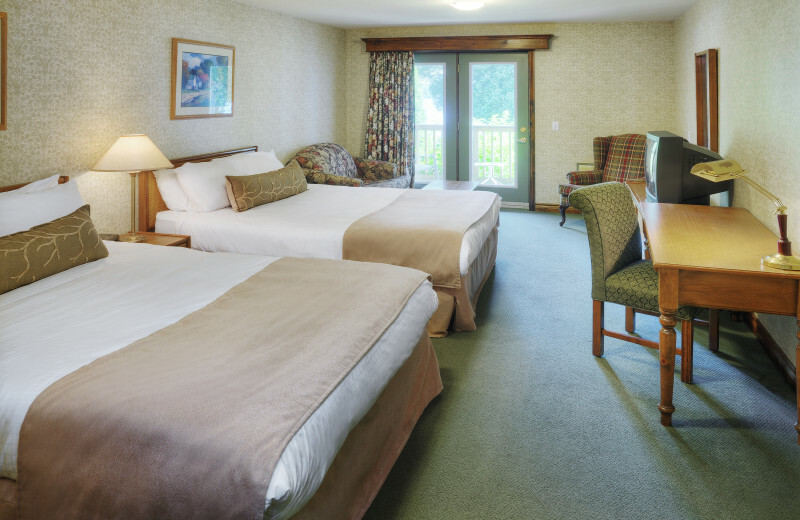 You'll find all the comfort and style you need with Bayview Wildwood's selection of suites, rooms and cottages, many of which include a private balcony and fireplace. 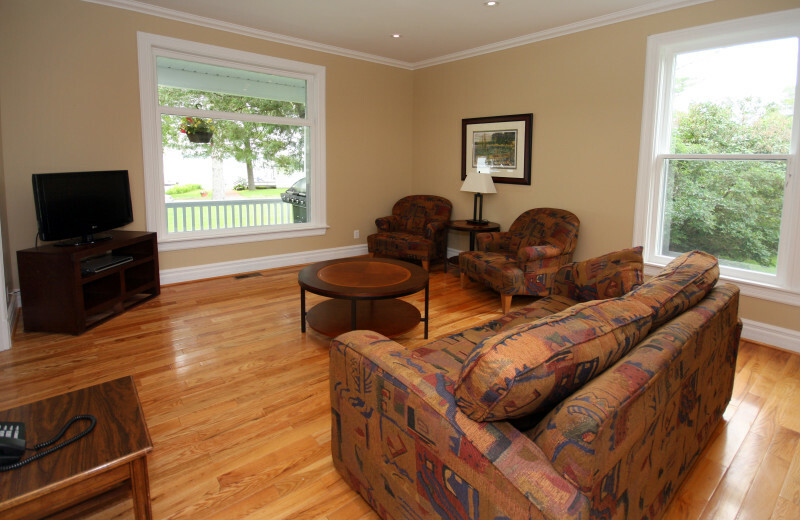 Or, rent a classic Muskoka-style lake cottage with modern amenities including a DVD player and satellite television. There's no need to forgo luxury when escaping to the lake! Sparrow lake is part of the Trent-Severn Waterway, a series of rivers, lakes and canals running Southwest to the northern shore of Lake Ontario. This beautiful body of water is the perfect place for swimming, boating, or fishing for largemouth and smallmouth bass, northern pike, walleye, and muskies. The resort makes it easy to get out on the water with boat rentals, or you can fish right from the dock! Staying at Bayview Wildwood will transport you back in time! 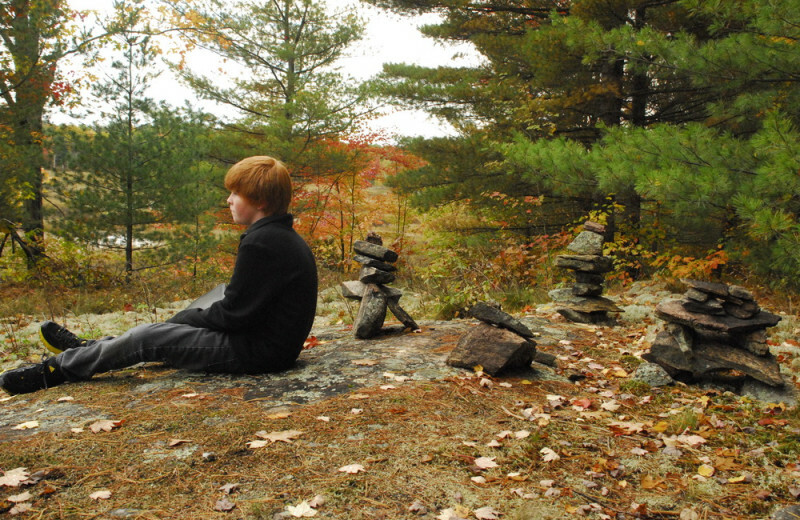 Get back to nature during your Ontario vacation and live the simple life. 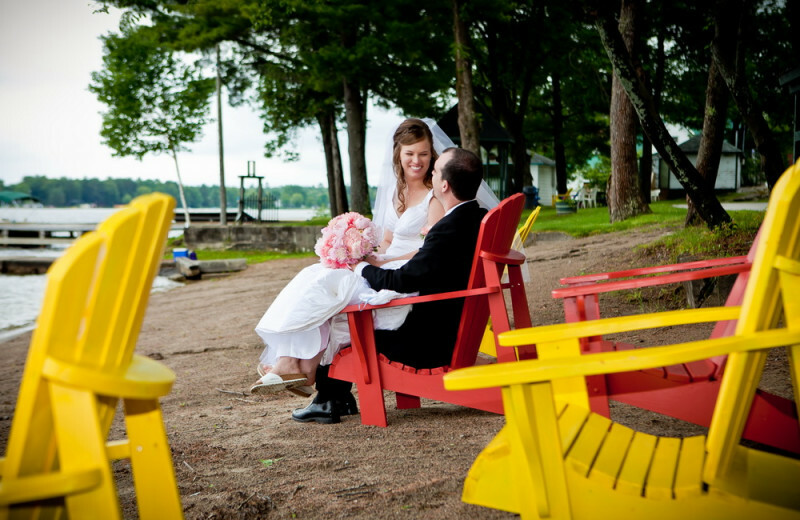 You'll appreciate the beauty all around you if you rent a classic Muskoka-style lake cottage. Don't worry, you wont have to give up any amenities! 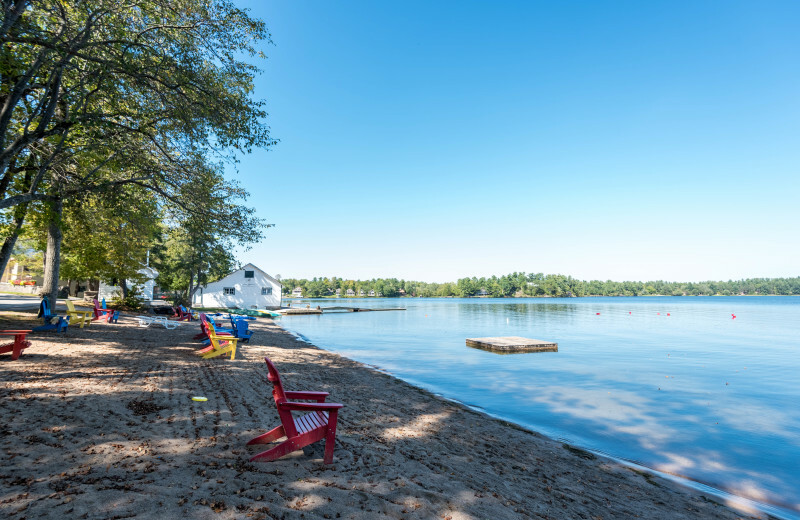 Located right on the shores of Sparrow Lake, this is the perfect location for a romantic retreat for you and your loved one. Rent a cozy cottage with a whirlpool and enjoy some one on one time. During the day, enjoy all of the outdoor activity available, including hiking and fishing. After a long day, relax with a couple's massage with a registered massage therapist. 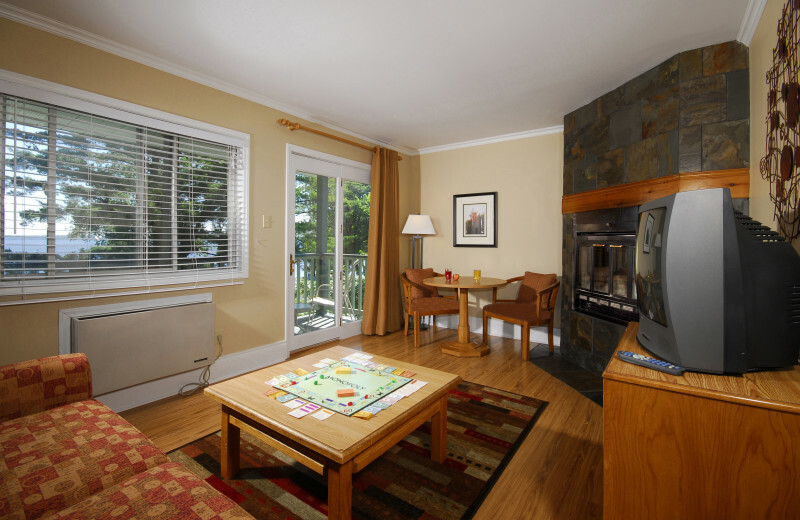 Choose a standalone or duplex resort cottage at Bayview Wildwood with a private patio and more. Some of the more modern cottages are equipped with a Whirlpool to help unwind at the end of a fun-filled day. 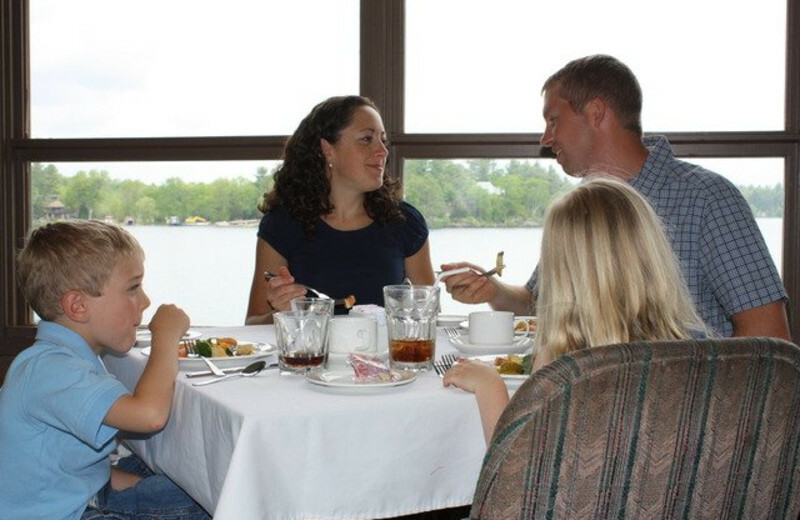 There's one for any budget, any time of year and always with a great view of Sparrow Lake. Choose from studios to three-bedroom units and relax! For your next holiday, head to Canada! 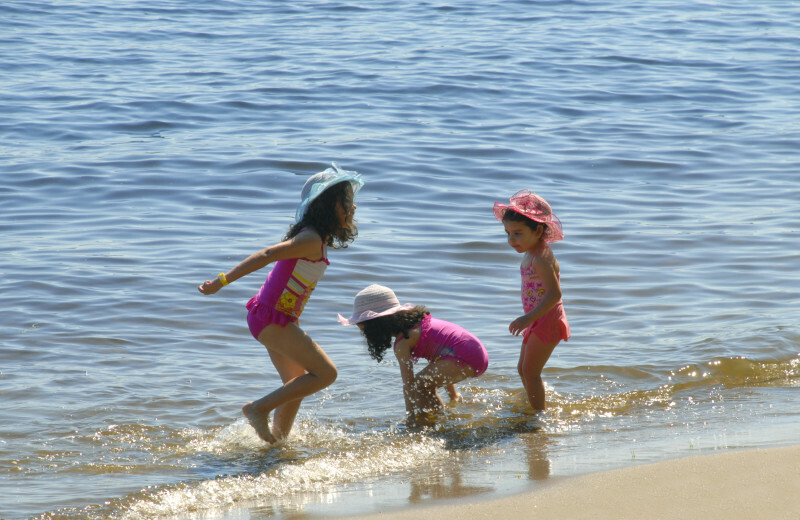 Stay at a cottage at Bayview Wildwood for a long summer weekend, like Labor Day or Memorial Day. 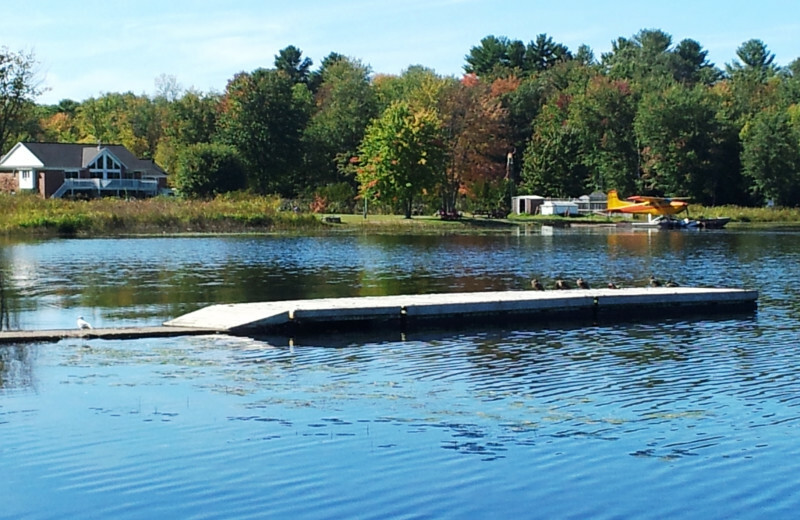 Spend your time on a boat on Sparrow Lake with your group or cast your reel by yourself. However you choose to enjoy your vacation is up to you. Book your next holiday here today! If you are looking to relax on vacation, utilize the Registered Massage Therapist at Bayview Wildwood Resort. Try a hydrating body rub or a Black Baltic Mud Wrap to ease your entire body. Manicures and pedicures are also available if you just need to get off your feet for a short time. 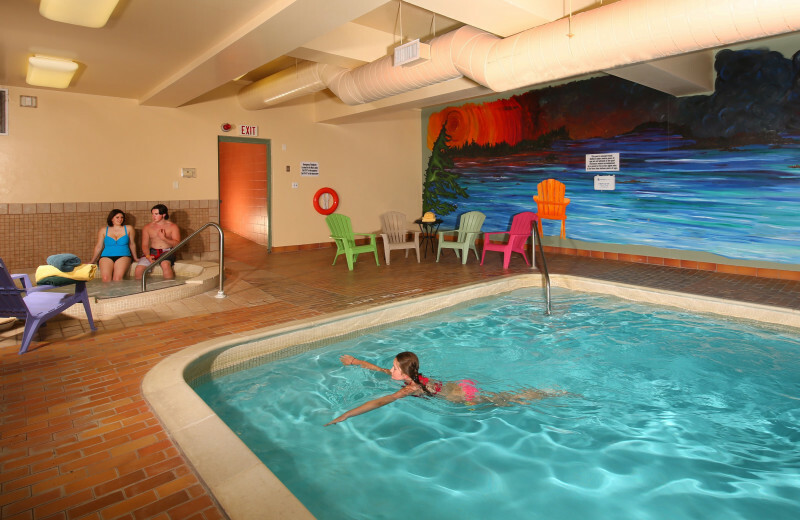 Make sure your Ontario getaway is as relaxing and stress-free as possible when you stay at Bayview Wildwood. 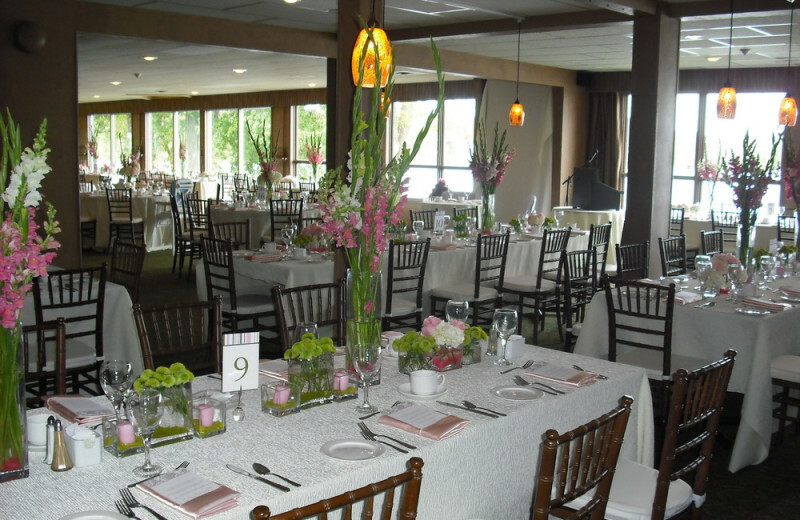 Plan your next group event at Bayview Wildwood Resort. 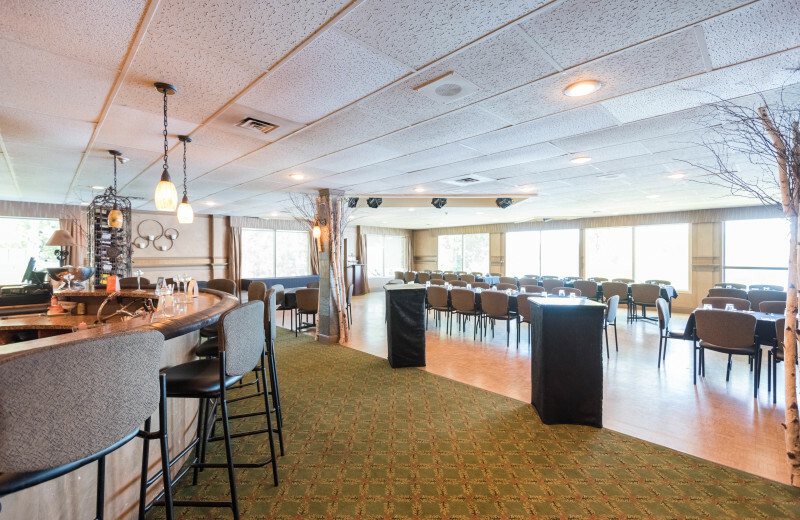 Muskoka family reunions, conferences, weddings and social gatherings have been enjoyed at the four-season lakeside Bayview Wildwood Resort for over 100 years. Inquire today! For more information please call +1 (866) 454 - 7647 or Send Inquiry. -Receive 50% off Mother’s stay when accompanied by another adult. -Rates start at $369 per person. Package rates start at $375/dbl per person and include: two nights stay, one dinner, two breakfasts, one box lunch, and two day boat rental. All operators will receive free of charge the “small vessel competency” orientation as required by Provincial Legislation. Number of children free depending on chosen week. 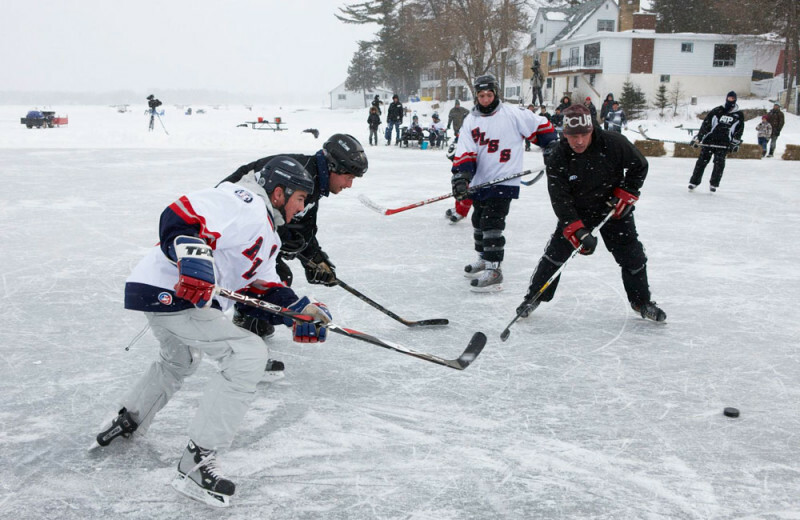 This property is ranked number 2 on Top Ontario Winter Vacations. Read about it here.